Check out www.livingproof.com for more product info. After receiving Allure’s Best in Beauty 2012 Award you can clearly see why this company has such an appropriate name. With Hollywood star Jennifer Aniston not only being a spokesperson and co-owner, she is the embodiment of Living Proof hair care products. For my frizzy curls there are very few products that ever seem to suit me. Reluctantly this was tried first as a sample before investing nearly forty dollars on what most would consider just another big name paid to hock goods all for the sake of sales. But wait, the weightless cream glides over the frizz making your hair feel luxuriously smooth. Unlike oil or silicone products there is no messy goo or tackiness to weigh down your hair which allows you to still have volume. According to Living Proof’s website they have created a patented molecule “OFPMA” that creates a “weightless shield” that wraps around each strand of hair to block humidity. Not only does this help smooth hair, block humidity, add dirt repellent to the list! A complex but simply white looking cream is what this sophisticatedly attractive bottle houses. Its distinct odor fades after application, personally I wish it were more pleasant. It distributes easily throughout hair and does not leave any mess on your hands. Best used on freshly washed damp hair but I have used it with great success on dry hair as well. This is a no frizz no brainer. 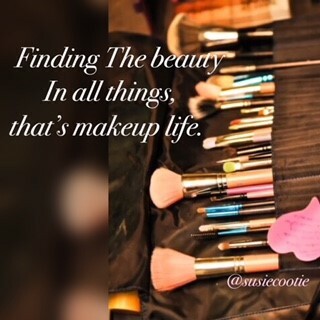 Having tried some of the best makeup brands, from drug store to professional, I could never find one liquid foundation that worked as promised. After watching a review and demonstration by a YouTube vlogger itsjudytime, go check her awesome beauty channel for some great reviews, I was convinced to go and get a sample. After a couple of applications I was hooked on liquid again. With the Naked Skin Foundation there are eight-teen shades starting with 0.5 which is the lightest and is what I use, the 6 is a medium for golden beige olive skin tones, and 12 is the darkest shade with deep gold undertones. Having a pump on the bottle makes dispensing extremely easy to control the amount of product that I put onto a Bdellium Tools 957 Pink Bambu brush that creates a nice buildable foundation. Compared to other liquids this seems to dry faster, but getting ready early in the morning that’s not such a bad thing. Surprisingly as promised this does finish to a “demi matte” which I adore since I’m not a dewy look girl. Using a translucent setting powder is not necessary but can be used for touch ups. Trying for myself using the Tarte BB Primer (Sept. 9th Review) the foundation seems to be unable to create a base to build off of. The Naked Foundation reminds me of airbrush makeup from the way it has to be shaken in the bottle before using and even the smell. Perhaps this may be an all-in-one that is made to be simply a standalone not needing a primer. Either way I have a great liquid foundation sitting on my shelf. Receiving free samples is awesome, but DELUXE FREE samples are even better! For my Sephora VIB freebie I chose this since it claims to safely clarify the appearance of your skin without irritation, and I couldn’t agree more. Even though this is not recommended for those with sensitive skin, like myself, there were no adverse reactions. Perhaps the four fruit acid complex (lactic, glycolic, tartaric, and citric) along with the papain enzyme help in a more gentle exfoliating process. Its orange citrus smell is extremely fragrant and pleasing. This feels no stranger than any other lactic acid mask in the way it has a tacky gel feel but with a bright orange color which does not transfer to your skin. After using Philosophy’s Clear Days Ahead (June 17th review) making sure my face is as clean as possible I apply this mask. Once a week applications, for ten minutes, are all that are needed to give my skin that supple and rejuvenated feeling moments after gently rubbing the mask away with warm water. Weeks of using this mask has done wonders for the appearance and overall feel of my skin. There will be no hesitation to buy this when the time comes since it has totally satisfied all my needs. If you have any food allergies checking out the ingredient list is a must. After receiving this as a deluxe sample from Sephora, in April, I just had to buy the full size. As you know a good foundation is made great with a great primer. Finding that right primer for me has been a struggle to say the least. With my most recent fail being a Smashbox primer (July 29th Review), then there was MAC and a few others before starting this blog. I wouldn’t call this my “Holy Grail”, as of yet, but since April it has been my favorite and go to primer since it is by far the closest to my skin tone. Other brands so far have simply failed in one way or another especially when it comes to the them doubling as a primer and Blemish Balm by either being too orange or gray in color. Although my use of this is strictly as a twelve hour primer it does several other jobs fairly well; BB as its name states, light foundation, moisturizer, sunscreen, and anti-aging treatment. For some reason the SPF 30 in this product does not cause any break outs as I seem to be sensitive to makeups with any SPF. It applies like any other BB cream light and airy with that staple silky smooth primer feel. Dries very quickly and is perfect for large pores since it fills them in without clogging. The price is on trend with current BB creams and primers. I wish it was ten dollars less but since it does work so well and a little goes a long way I can understand the price. Using this with MAC’s Studio FIX Powder (Aug 27th Review) and a light setting powder works best for me. Unfortunately when using Urban Decay’s Naked Skin Foundation it tends to smear like crazy. After reading reviews and hearing comments made about the Naked Skin Foundation it may just be some primers in general that do not work well with that specific foundation. Wrapping up this Summer using this on those hot days worked out great so I can’t wait to see how well it works for the Fall and Winter. This summer Jordan Liberty has done it again, launching his line of lashes dubbed FAKE IT. As if having a full time job isn’t stressful enough. Let’s add founder of a new up and coming brand to the already what most would consider an envy-able and solid resume. 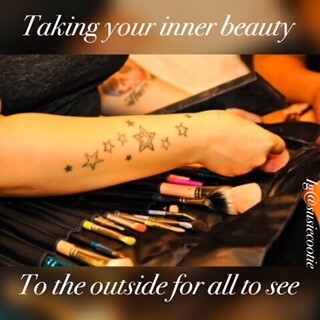 With the popularity of Give Good Face growing daily in the makeup community there’s no surprise why this was a natural transition for the already established Professional Makeup Artist, YouTube makeup how-to guru, and lover of all things makeup and beauty, to offer some great products for the true “beauty junkie”. If you don’t already know about the Give Good Face YouTube channel I would highly recommend checking it out at www.givegoodface.com and after viewing an abundance of great advice stroll over to shop.givegoodface.com and pick up some of the makeup and beauty inspired, cutesy and tongue in cheek, T-shirts and hoodies. One of the best things about this company you see the man behind the brand. At the 2012 NYC IMATS I bought my GGF T-shirt and got a wave and a thank you from Jordan. For the 2013 NYC IMATS Liberty Republic made a grand debut with crowds batting their lashes to FAKE IT. I was there cash in hand ready to purchase three (Exhibition, Peep Show, and Alpha Blonde) sets so I could FAKE IT and of course grab another GGF T-shirt. The booth was lined with fans excited for the debut and I was even lucky enough to get a picture snapped with the industry professional. These lashes are no joke, hand knotted flares that look natural and glamorous, they seem made for the camera these babies have the thinnest and lightest clear lash bonds whenever possible. With thirteen different lashes to choose from and a superior quality I bet there will be oodles of looks created using these in the future. Having made stops at the IMATS, The Makeup Show, and IBS Liberty Republic already has so many people faking it. And you can too simply with a click of the mouse at www.libertyrepublic.com . I bought the NYX concealer in green, since it had such a great price point for any color adjuster, hoping that it would tone down the red on my cheeks caused by rosacea. The packaging was simple but did not contain a seal, so make sure it hasn’t been tampered with before applying. As with most NYX products there is no distinct odor or chemical smell and the texture was tacky and a bit on the oily side. It went on smooth which was a big plus and a little goes a long way. I love NYX products but with most relationships you take the good with the bad. Although this was the first adjuster to actually work on toning down the red tremendously it still fell short. Even with proper blending (I found using my fingertips worked best) it settled into the large pores even with use of a primer. It also smeared over a period of time mixing with the makeup I applied and natural oils creating a mess. If you are going natural and looking to tone down the red this is the product for you. Those with normal to dry and blemish free skin will enjoy using this concealer. But if you have oily skin or have a full coverage makeup routine especially in the summer you may want to think twice.